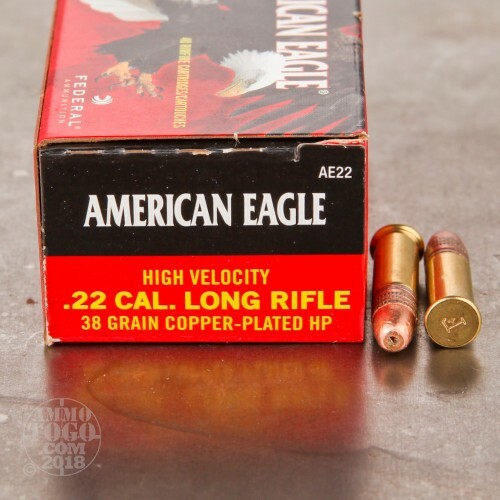 This is .22 LR Federal American Eagle 38gr. High Velocity Copper Plated Hollow Point. 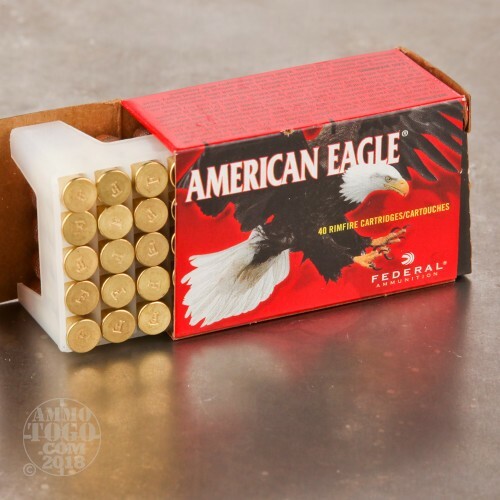 This American Eagle ammo is designed specifically for target shooting, training and practice. It's loaded to the same specifications as Federal's Premium loads, but at a more practical price for plinking. 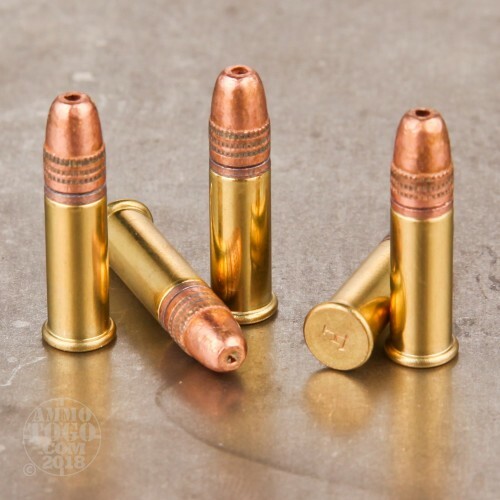 This ammunition is new production in reloadable brass cases. Muzzle velocity is 1280 fps, and muzzle energy is 138 ft. lbs. 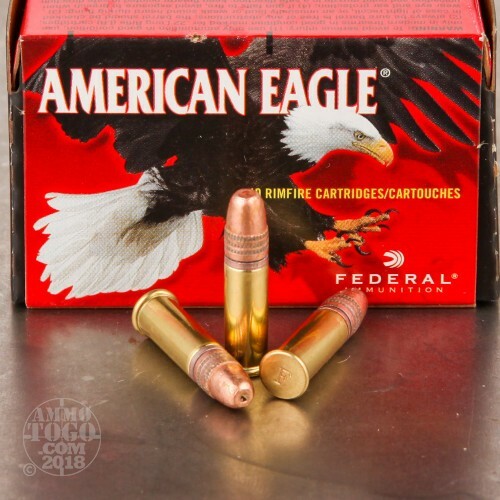 This ammo comes packed 400rds. per box. It's been a long time since I've seen this ammo, was starting to think it was discontinued. 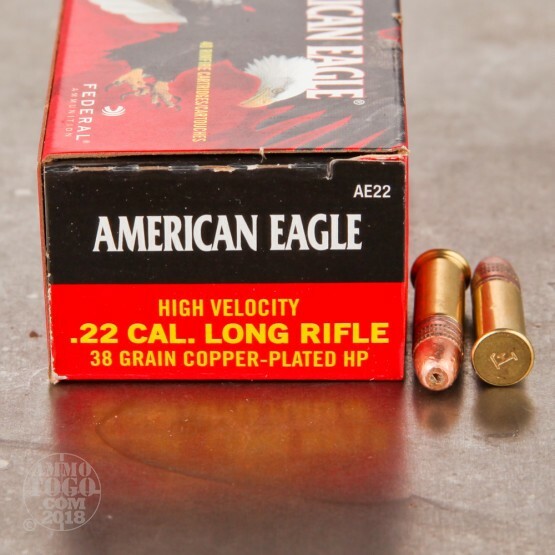 I've never had any problems with this ammo and it has been very accurate in my Henry rifle and Ruger pistol.